served with red onion marmalade and a nice salad garnish. on mixed leaves with capers and horseradish cream. chicken and bacon bound with creamy garlic mayo with crunchy iceberg lettuce and baked herb croutons. Plump prawns in Marie Rose sauce with tomato and cucumber and lettuce. made fresh daily from the finest ingredients and served with fresh Farm Bakery Bread. freshly baked ciabatta topped with garlic & herb butter & mozzarella. Glazed goat’s cheese & red onion marmalade tart with fresh salad. Our short-crust pastry-topped, ale-braised Northumbrian steak pie! 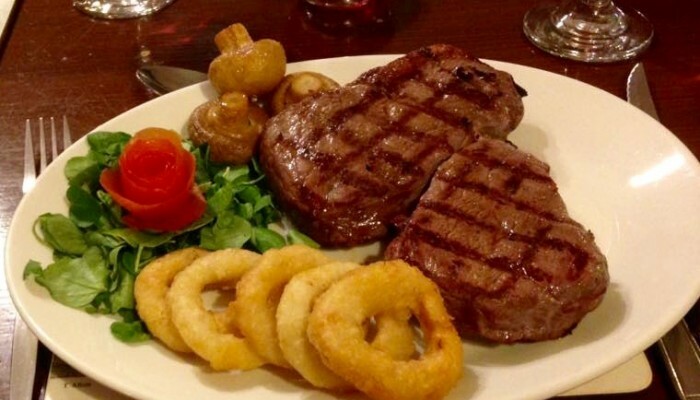 served with fresh, seasonal vegetables & chips. Fresh chicken breast in the classic cream-enriched sautéed mushrooms, onions and French mustard sauce & served with chips or new potatoes and a nice side salad. Skinless haddock fillet in golden ‘Farne Ale’ batter with chips, garden peas and tartare sauce. Flash-fried strips of marinated steak & chicken with peppers, onions & mushrooms in a red wine barbecue sauce, topped with onion rings on a sizzling skillet – served with chips. Glazed goats cheese & red onion marmalade tart served with fresh salad. Golden scampi served with hand-cut chips, garden peas & homemade tartare sauce. Northumbrian steak-mince and onions, cheese & herb suet dumplings, fresh seasonal vegetables, new potatoes and roast gravy. 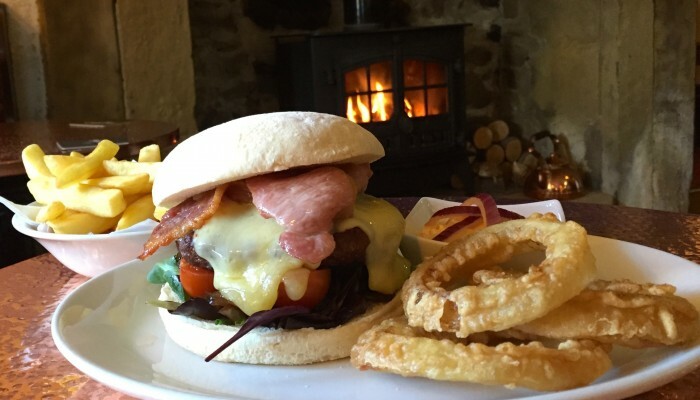 Topped with melting Monteray Jack cheese, back bacon, red onion chutney & tomato relish in a soft ‘Farm Bakery bun’ with iceberg & tomato. Served with chips, onion rings & homemade coleslaw. Delicious golden-battered skinless haddock fillet, tartare sauce, crunchy iceberg & plum tomato in local ‘Farm Bakery’ seeded granary roll. served in a fresh ‘Farm Bakery’ roll with homemade coleslaw & salad garnish. 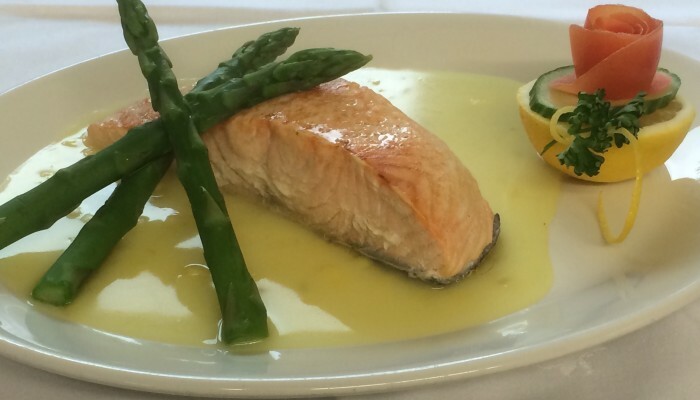 Locally smoked salmon with plump prawns in Marie Rose sauce. Doddington’s Dairy full flavoured cheddar-style cheese with freshly baked crusty bread, pickles and chutney. 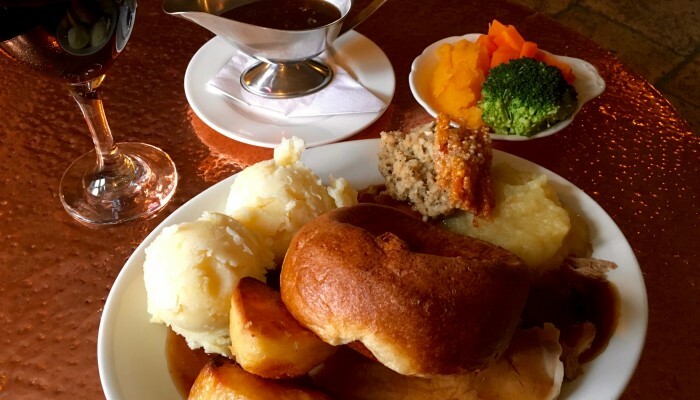 Northumbrian steak-mince and onions, cheese & herb suet dumplings, fresh seasonal vegetables, roasties, mash and rich roast gravy. Topped with short-crust pastry. Served with seasonal vegetables, roasties, mash and gravy. Glazed goats’ cheese & red onion marmalade tarts served with beautiful fresh salad.